I’ve had my beeline since Xmas and it’s had one firmware update since I think. Of late a can pair the unit to my phone in settings but the unit screen itself still looks for the phone. The app also claims there is no beeline connected. But in settings this is clearly not the case. I have tried resetting and umpiring and turning it on and off and this sometime works but only occasionally and I spend five minutes going through this every time I want to use the beeline. The app will register my journey but won’t project it to the beeline unit. This is far from adequate and is putting me off what was otherwise a great device. Oh no! Sounds like a pairing issue is causing the communication failure between the Beeline and your phone. Please could you forget the Beeline on your phone's Bluetooth settings? And then open the Beeline app and allow it to search for, and pair with, the Beeline on there? 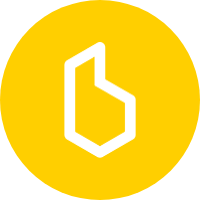 If you still have any trouble, please email us at support@beeline.co with your phone model and OS and Beeline app version number and we'll do our best to get you sorted :). I've had exactly the same problem as Elliot. I have followed the same suggested procedure of forgetting the device and repairing. This worked a couple of times but now I cannot connect to the device at all.